A specially formulated growing media containing a balanced slow-release fertiliser for healthy water garden plants. 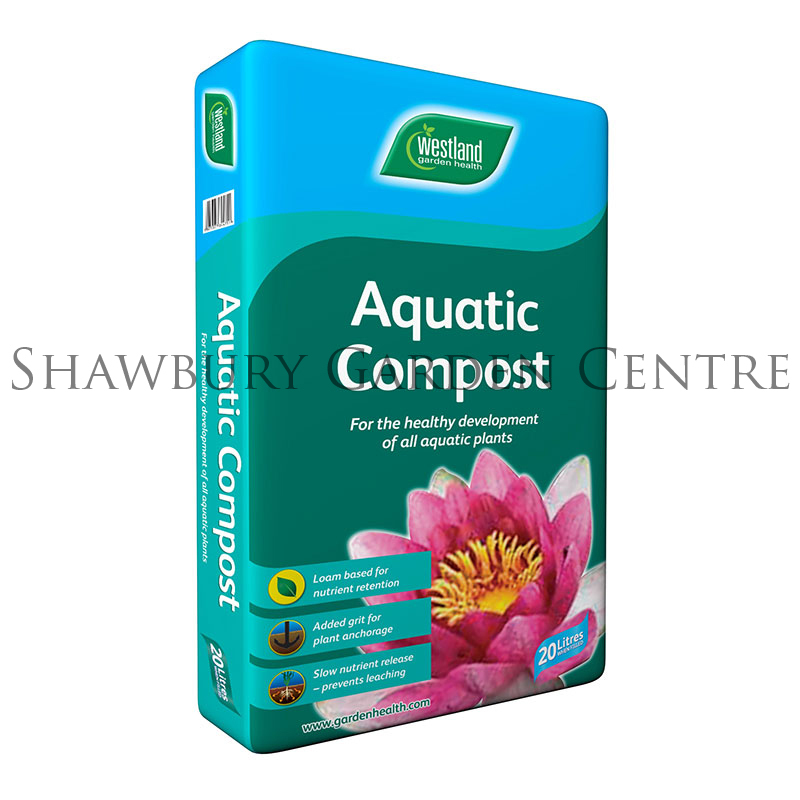 Aquatic Compost contains sterilised loam and grit to allow safe cultivation of submerged plants in ponds, rock pools and all garden situations. It features a specially formulated slow release nutrient source that prevents excess plant food from leaching into water and encouraging algae to grow. This nutrient source encourages healthy plant growth without attracting unwanted Blanket Weed whilst at the same time, protecting the purity of the water. For potting and re-potting aquatic plants. Most aquatic plants have a low requirement for nutrients and the nutrient source in the compost will feed the plants for approx 4-6 months, enabling the plants to fully establish. The compost contains a slow release balanced fertiliser complete with trace elements and has a pH of 6.0-6.5. If you would like further information about Westland Aquatic Compost, please contact our garden centre at Shawbury just outside Shrewsbury in Shropshire, by calling 01939 251315 or emailing.